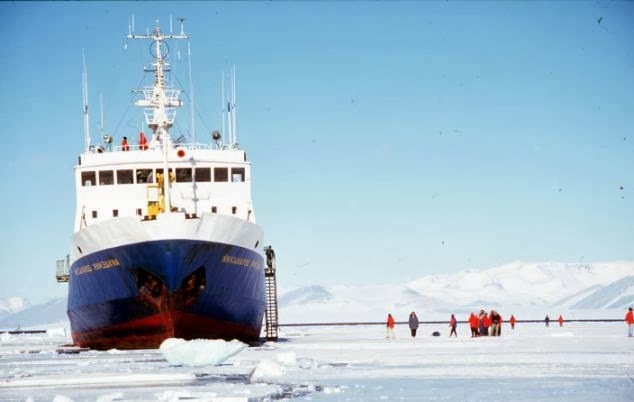 Many tourists on-board MV Akademik Shokalskiy may not have thought of 'celebrating' Christmas in the frozen Antarctica when the boarded the Russian made ship. But the truth was soon revealed when they got struck into the frozen Antarctica and spent their Christmas out there where there is nothing but frozen snow. The ship was on a research expedition to commemorate the centenary of Australian geologist Douglas Mawson's exploration of Antarctica. As last reported, the nearest ship is two days away, 1,500 nautical miles from the tourist boat. So unless some outside help arrives, it is Boxing Day too struck in the frozen world.